Prof. Marie Therese Abena Ondoa, Minister of Women’s Empowerment and the Family, talks on the dividends for women in the new Penal Code. In a recent press release, you lauded the progress contained in the new Penal Code concerning women’s issues such as the ban on female genital mutilation, sexual harassment, acts inhibiting the growth of women’s organs, etc. Do you think these measures are enough to stop the abuse of women in the country? The new Penal Code has enabled Cameroon not only to concretise its commitments to global and regional frameworks regarding women’s rights, but equally to protect women from repugnant cultural norms and practices that have hitherto exposed them to every kind of ill treatment. The law effectively marks a great stride towards the attainment of gender equality; cognizant of the fact that gender-based violence is the strongest manifestation of gender inequality and a breach of human rights of women. It shall absolutely contribute to the reduction of the prevalence of violence perpetrated against women in that there will be restraint on acts that have been criminalised. It is worth underscoring that no matter how strong legal provisions may be, they cannot completely stop or prevent abuses against women. This is not only true of abuse of women’s rights and those of family members, but an issue in every aspect of human behaviour. The law is not a panacea to behavioural problems, but a standard to shape behaviour. Legislation may exist, but implementation may be complex and difficult. Firstly, there is the issue of gender stereotypes on the part of enforcement officials who may be biased against one side and victims who may be afraid to denounce abuses. Secondly, ignorance of the provisions of the law by both the culprit and the woman whose rights are violated could be a factor. Thirdly, women’s access to justice can be impeded by structural and institutional barriers such as the cost of judicial proceedings, including legal fees and lengthy trial periods. The enactment of the law should be followed by massive awareness-raising of the population. How do you intend to sensitise women to enable them appropriate the provisions in the law? The press release you made reference to was the first step intended to inform women of specific areas that concern them in the new Penal Code. In that same release, I instructed all my collaborators, especially regional, divisional and sub-divisional delegates as well as Directors of Women’s Empowerment Centres to popularise the Penal Code among women’s networks and men’s groups with the view to effective ownership by all. This shall be done through lectures and various communication tools. I should make it clear that sensitization of the public, particularly religious and traditional authorities and leaders of women’s associations on women’s rights as provided in international, regional and national legal instruments, is a permanent activity in my ministry. It features in the roadmap each year. The work shall continue with emphasis on the new Penal Code, considering the many provisions dealing with the family, women and children. 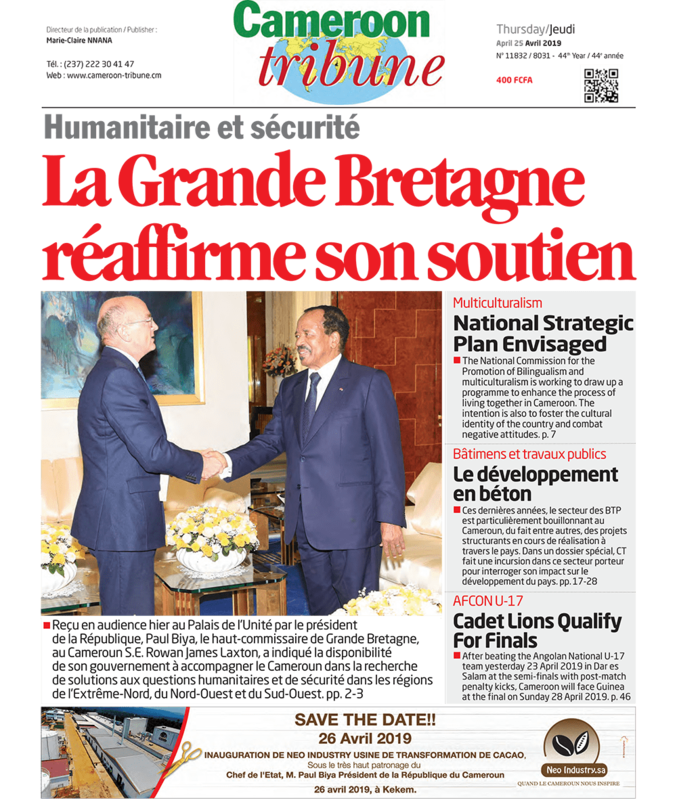 Already, an awareness session held in the Yaounde City Council Hall on July 28, 2016, wherein experts explained the provisions that concern women and the family as a whole. Participants were community leaders, women’s associations and civil society organisations. Equally, we are currently updating a draft collection of legal texts on the promotion of women’s rights with the provisions of the new Penal Code. What assistance can your ministry offer women who suffer any further abuse of their rights under the new Penal Code? Law n?2009/004 of April 14, 2009 on the organisation of legal assistance, giving full rights to legal assistance to all unemployed persons without resources or those abandoned by their spouses, is still in force. We shall continue to assist women who come to us for legal assistance. The Legal Unit of the Ministry has handled many cases involving widows and other women whose rights were abused, even in their work places. Concerning cases of gender-based violence, we have 7 call centres in Women’s Empowerment Centres in the Centre, East, Littoral and Far North Regions, where our field staff receive survivors and provide psycho-social assistance to them. These centres were set up as part of the implementation of a joint programme entitled: “Boosting The Prevention Of Gender-Based Violence And The Holistic Management Of Women Survivors In The Most Affected Regions Of Cameroon,” carried out in collaboration with some United Nations agencies in Cameroon, including UN Women and UNFPA. Similarly, we have trained police officers on understanding and intervention issues relating to violence against women and gender desks are being put in place in some police stations. Hence, the police will be of greater help. Another strategy we use and we shall continue using is the organisation of socio-legal clinics with women’s associations, during which we receive cases of women victims of rights abuse. 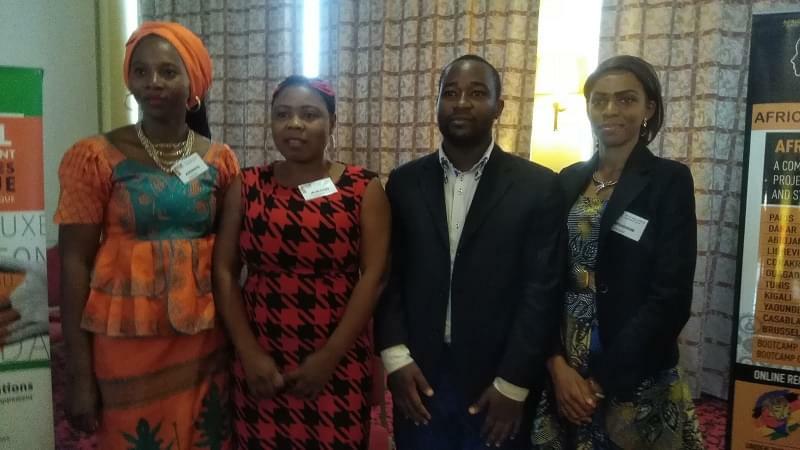 To resolve these challenges, we work closely with the Cameroonian Association of Female Jurists (ACAFEJ) and the Association of Female Bailiffs (“Femmes Huissiers”) who give free legal assistance to women in distress. Apart from psycho-social assistance, we will assist abuse victims by referring them to appropriate structures. We shall also popularise a guide on integrated management of gender-based violence drawn up in collaboration with UNFPA.